On Saturdays we head for ski-country for a full day of skiing as guests at private/semi private ski clubs in Ontario. 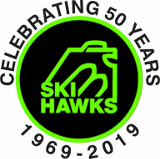 Transportation for The Ski Hawks is provided by Bus leaving from York Mills subway station (south entrance) at 8am sharp every Saturday. Please note that any dates may be cancelled due to poor snow or weather conditions.